Let’s get a little negative, shall we? Because as much as we want to stay positive and say yes, there are just times when we have to disagree with someone or give them negative answers. 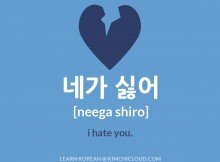 It is one of the most essential expressions in any language and in this lesson, you will learn how to say “No” in Korean. 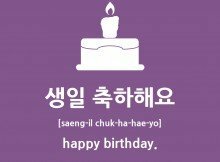 The most common way to express this is with the word “aniyo” (아니요). As an absolute beginner, that might be all you want to know for now and that’s fine. However, we suggest you read on further if you want a deeper explanation and a better understanding of how to use it, aswell as how to make it casual and informal. If you want to be polite and don’t want to risk coming across as rude or insensitive, you should use “aniyo” (아니요). Do you see that “yo” (요) at the end? That’s what makes it polite and you want to use it with people who are older than you or with people you don’t know that well. Note that some people like to type 아뇨 (anyo) as a contraction of this word when chatting online, so if you stumble upon that word, that’s what it means. If you want the casual and informal way of saying “no” in Korean, just remove “yo”(요) from 아니요(aniyo) and say “ani” (아니) and you’re good. It carries the exact same meaning but you should only use it with close friends or with people who are younger than you. 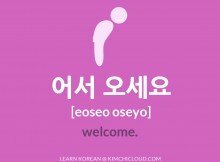 Remember that it takes years of practice to fully grasp the complexity of the politeness levels in Korean so if you’re unsure when to use what – don’t worry! You’re far from alone. 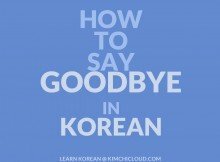 Most Koreans are open-minded and won’t expect a beginner to know everything. A: 그것은 맥주예요? (geugeos-eun maekjuyeyo) – Is that a beer? B: 아니요, 맥주가 아니에요. (aniyo , maekjuga anieyo) – No, it’s not a beer. There are a lot of ways to give negative answers in Korean and we’re just scraping the surface, so if you have any questions or comments, make sure to leave them in the comment section below and we will do our best to help out! Happy learning! 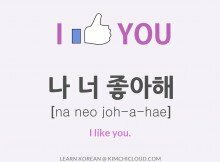 Also, make sure to check out our lesson on how to say “yes” in Korean, if you haven’t already done so! The most useful thing was the difference between 아니요 and 아니에요 !